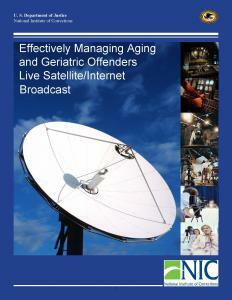 Listed below are resources related to the needs, policies, programs, and legal issues of aging in prison. Hot Topic: Do you have sample policies for compassionate release of terminally ill inmates? Hot Topic: Where can I find protocols and policies for palliative/hospice care in corrections?